You don’t need just talent and capability in an organisation, you also need people to contribute their best ideas, to share information, and to report mistakes. That takes psychological safety and high performance. People in organisations often don’t feel powerful to speak up because they anticipate there will be repercussions if they do. Yet, when people feel safe, they feel connected, they’ll take risks and be vulnerable. They are therefore more likely to learn and to innovate. You can deepen your learning culture by making the climate safer, sooner. People will feel confident and powerful to fully contribute their ideas and their concerns. When people feel safe together, they click together and there’s an ease to how they work with each other. This is what teams are all about. 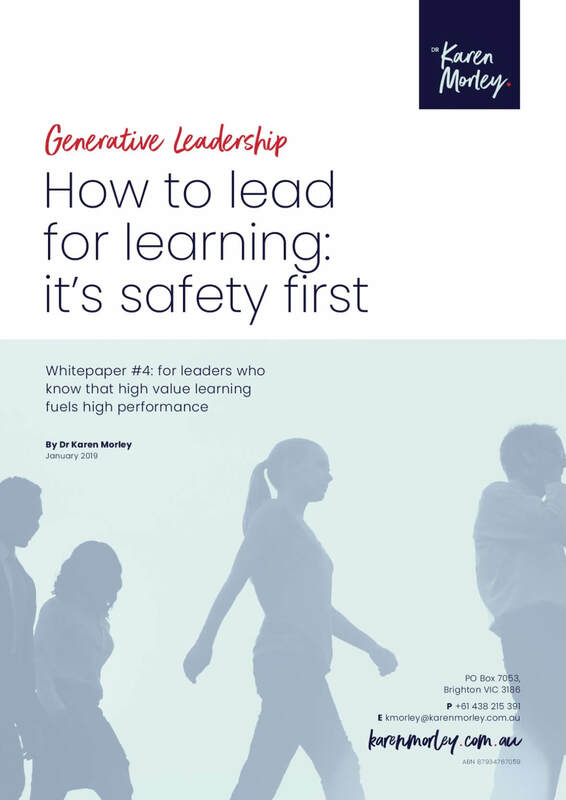 Download the whitepaper to learn more about how psychological safety is a foundation for high value learning and high performance.